Millie Switkowski is back home to Bear Paw for her clinical rotation but to her dismay, Australian doctor Will Bartlett will be filling in as her supervisor. Millie has had a crush on Will for a while now, but she’s gotten used to being invisible and treated as one of the guys, so it’s no surprise to her that Will does not see her as a woman. What makes it worse is that due to a series of misunderstandings, Will makes wrong assumptions about her sexuality and is content relegating her to the friend zone. Now that he will be supervising her, she knows she’ll have a fight on her hands keeping her attraction to him secret. Working together, a friendship develops between Millie and Will and becomes something more but they haven’t been completely honest with each other and the secrets they’re both keeping may hurt their budding relationship. Charlie lives life like each day is the last one, indulging in extreme sports and having as much fun as he possibly can with his busy schedule. Millie has spent most of her life under the watchful eyes of the town and really just wants to be treated normally, so much so that she hides her medical issues from Will until she’s forced to come clean. I really enjoyed the previous book so I was looking forward to this story and I was not disappointed. TRULY MADLY MONTANA is both fun and serious at the same time. 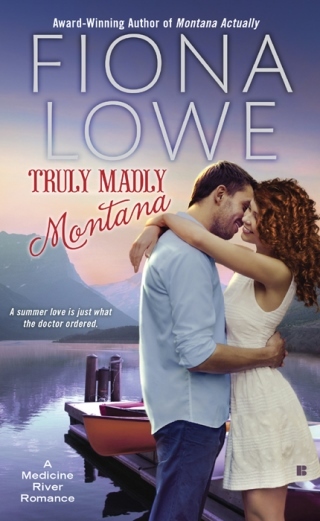 Ms. Lowe competently combines tragic loss and living with a medical condition is a way that the reader is able to enjoy the humor and romance while being sensitive to the more serious issues in the story. Charlie has suffered the loss of someone very close to him and his fear of losing someone again makes him avoid commitments in a major way. When he finally finds out about Millie’s condition, he’s very quick to end things between them in a futile bid to avoid getting hurt. All Millie wants is to live normally so she has taken every precaution available to safeguard her health and keeping the truth from Will is one way to ensure that he’s normal with her. I really liked Millie because she knew that life was short and was willing to put herself out there for happiness, unlike Will who had shut down and kept people out. Charlie and Millie’s story made me think about how difficult it must be for a physician to love and live with someone with a medical condition that cannot be cured and how that can affect their jobs. On the fun side, I enjoyed the secondary romance between Ethan and Tara but I would have loved them to have their own book. The colorful townspeople never fail to make me smile, especially with their addiction to Twitter. Fiona Lowe is a RITA® and R*BY award-winning, multi-published author with Harlequin , Carina Press and, Berkley USA. Whether her books are set in outback Australia or the USA, they feature small towns with big hearts, and warm, likeable characters that make you fall in love. When she's not writing stories, she's a weekend wife, mother of two 'ginger' teenage boys, guardian of 80 rose bushes, slave to a cat and often found collapsed on the couch with wine.